Design and layout planning / space planing. 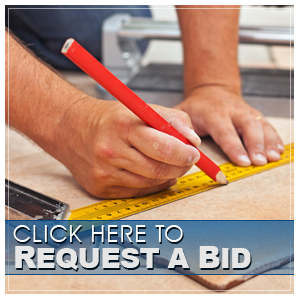 Trinidad Tile & Granite is a family-owned residential remodel company. 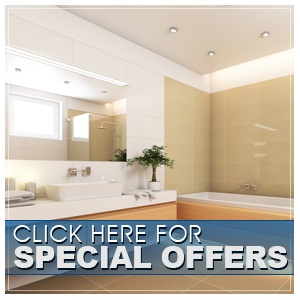 We specialize in kitchen and bathroom remodels, but its capabilities reach way beyond those areas. From the inside of you home to the outside, we are a great resource to get your projects done. With a vast knowledge of different materials, we can assist from the idea stage through completion. Putting together a package to compliment your personality, we are sure you will be delighted with the finish result. Highly skilled craftsmanship, hard work and a passion for excellence has always been a Trinidad family tradition. Having been introduced to the remodel field at a very young age by Gabriel Sr, Gabriel Jr and Hugo have a great appreciation for what they do. Our company strives to use our natural talents to build our customers the kitchen or bathroom of their dream. We have an eye for design and the ability to build your vision, while making the process as easy as possible. We provide attention to detail that all true artists insist upon. After developing a real passion for building customers dream kitchens and bathrooms early on, it became obvious that we should share this gift with the rest of the building and design community. So Trinidad Enterprises Inc was formed and incorporated in May of 2002. Trinidad Enterprises Inc was established in 2002, with a DBA of Trinidad Tile & Granite. Setting up shop in Santa Fe Springs, we worked out of a 2,000 square foot showroom/warehouse with a pallet jack and a desire to keep growing. After having to hand load pallets and pallets of tiles onto customer’s trucks, we were finally able to get a forklift and more appropriate equipment to complete our jobs. Our hard work, allowed us to grow and eventually enabled us to move to a bigger location where we have been for 10+ years. We have experience some great successful as well has some difficult setbacks. But through it all we have not wavered in striving to provide the best service possible to our customers. Treating each home like it is our own, our customers are assured that our absolute best is always our goal. We now a long list of customers that we have had the blessing of allowing us to create their vision in their homes and businesses. You can meet many of them on our testimonials page and see what they say about their experience with Trinidad Tile and hopefully you can become one of our newest creations. We appreciate you viewing our website and look forward to providing our service to you! Bullnosing - bullnose different materials for your remodeling needs. From natural stones to porcelain tile. Cut and polished to custom sizes.